...So why the soothing green trail pic then? 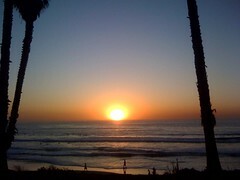 Because it is just that, soothing...and where I hope to be in a few months. The position I find myself in as of late is very reminiscent of this exact time of year in 2007. I was sitting at a coffee house in Cleveland, deciding on whether I should start grad school and if I did, where to find an apartment, when to quit my job, and how to logistically attempt an AT thru-hike in 3.5 months during the summer. I sit here now, similarly at a coffee house, trying to plan out my next 4-5 years. I recently finished up my Masters and survived my 2nd field season in Antarctica. Tomorrow is March 1st, and I have a lot to accomplish in the next 2 months. But like 3 years ago, a very important component to all of my decisions is the ability to take some time off this summer. There are a lot of people that finish their masters degree and immediately begin their PhD. I am not one of these people. I need a mental decompression in order to prepare me for a 4-5 year academic commitment. The problem is that I have so many components of my life that are simply waiting on what decisions I make in the next few weeks. Above all, I must commit to a graduate school. I have the option of staying with my advisor at Penn State....a very good option. It would mean that I wouldn't have to take very many classes and could immediately begin preparing for my candidacy exam. 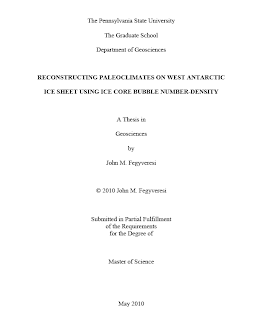 If I go somewhere else, it would give me the opportunity to work with someone else in the field of ice paleoclimatology. More than anything I want to go and visit the schools I applied to, the problem is that I have not heard from any of them yet. Time is running out and I'm more and more tempted to simply stay at Penn State because it's the "easy" solution. Don't get me wrong, there's a very good chance I would decide to stay at Penn State anyway, it's just that deciding that now, would defeat the whole purpose of me even applying to other schools. In the meantime, I have a landlord breathing down my neck wanting to know if I am going to renew, and various other folks that need verbal commitments about next year and potential antarctic field seasons. Today I officially turned in my completed/updated Masters Thesis to the Graduate School for what amounts to my final official step as a Masters Student. Technically, I will remain a Masters Student until May 14th (graduation day), and will continue working on the manuscript version of my thesis, but as far as official school work...I am now done. It is kind of a weird feeling. I went to the school copy center and ordered 2 bound copies of my thesis (one for myself and one for my advisor) and it felt a little underwhelming. I think back to the all-nighters trying to finish math modeling projects or dynamics labs, and it all culminated with a 30 second handover of a signature document to the graduate school. As I stood in line at the copy center putting my order in for the bound copies, I couldn't help but think, "now what?". I found that since getting back from Antarctica, I've been quite under-motivated....been in a bit of a funk. I have a really good feeling about this year, but it seems I'm having a hard time convincing myself of it. I am waiting to hear back from graduate schools on PhD programs and am actually excited about the prospects of another 4-5 years of school. It's just that right now I feel a little bit in limbo. On a non-school note, I did not get into any of the ultra lotteries or selections that I applied to, so I am very unsure of my running plans. I sincerely hope to take a little time this summer to clean my slate again before starting school, but that will depend on where I go. (ie if I stay at Penn State, I may have to go to the Ice Core Lab again in July). So...as I sit here in my office at school and I reflect over the past 3 years I have decided it's time to get motivated and time to get excited about the future. I have closed one chapter and need to start thinking about the next one seriously. The past three years went by very quickly. I come out of that time with a Masters Degree from a great university and the experience of working for some true luminaries in the fields of ice and climate science. I guess I'll take a deep breath, pat myself on the back for now for accomplishing what I set out to, look ahead, focus my thoughts, and as always say, "Bring it!" 2010....I am going to knock your socks off. As a side note, I went back and watched this video I made right after completing the Appalachian Trail in 2007. When I made this video I was also closing a chapter and completing a goal that I set for myself....much like today. Thinking about today, it's nice to know that I was able to set another goal for myself (complete a Masters) and accomplish it. Add to that the fact that I had amazing side trips to Colorado, New Zealand, Antarctica, and made some incredible new friends along the way, and I'd say I've been pretty blessed. Well...I'm home. Back in State College, and I thought I'd post a few pics from my time in New Zealand. Overall, I spent about 2 weeks roaming around the south island again. I didn't do as much hiking, but saw a lot of places I didn't see last year. Plus, I experienced a 5.1 earthquake first hand! as the rental car was leaking a lot of oil at this point. liked to call them: Dinosaur Eggs! In what form or manner would I emmerge from this reprieve? A journey replete in it's rewards, is one marked with trials. Yay! I officially left the airport.... Does this mean it counts? American was with a rude one....can I go back to new Zealand now? over the east coast are canceled, so not sure when I'll get home. It's that time again when I must say goodbye to New Zealand. I have had another great time down here exploring this beautiful country. I again focused my travels in the south island, and had a blast....well at least until my rental car went wonky. In the end though, I did make it back to Christchurch in one piece, so I can't be too upset. Once I get home, I have lots to sort out. I have to finish up writing my publication manuscript (from my Masters), decide on grad school, and figure out my summer plans. So far, all of the race lotteries that I signed up for, I have not been selected on, so I do not have any set ultras that I'll be running. It is hard to say what will happen later this year. Will I be back at WAIS for the final season of drilling? Don't know. I certainly would like it, but it will all depend on where I'm studying. 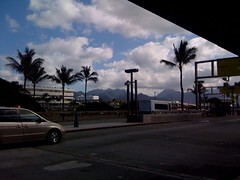 Tomorrow starts my long 2 days of flying with the bonus of a stopover in Hawaii. I look forward to being home and seeing people that I've missed. I was comfortably falling asleep in my tent last night, while camped at the Brod Bay beach campsite along the Kepler track. Right as I was falling asleep, the waves on the bay starting picking up and I felt the ground calmly rocking back and forth. It felt as though I was on some sort of amusement park ride. It was a surreal experience to be on the ground and have it move. 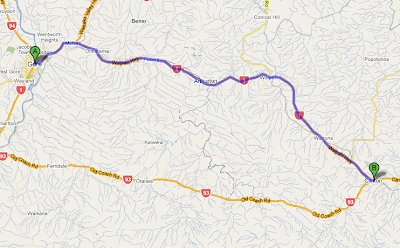 Turns out the quake was a 5.1 and had an epicenter about 70 km from where I was in Te Anau.